Distance racing has long been a tradition on the Great Lakes and this year Quantum has teamed up with CASRA to name a distance racing champion. 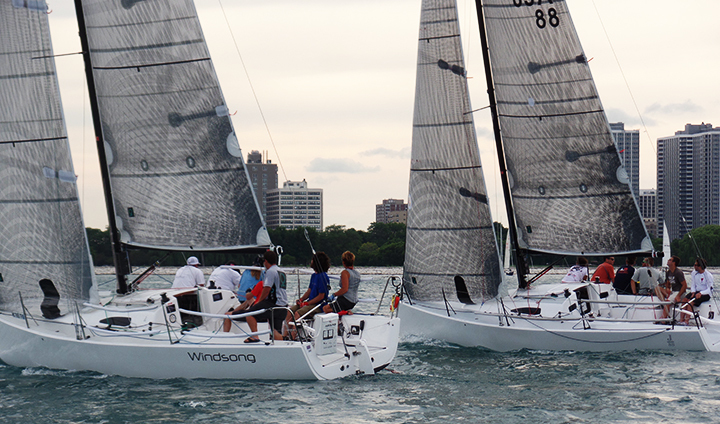 Quantum is excited to sponsor the 2017 Quantum Distance Race Series Championship and support CASRA in their mission to foster sailboat racing in the Chicago area with seminars, debriefs and coaching. The Quantum Distance Race Series Championship will take place throughout the summer of 2017 and will crown the top performer in three of the five listed distance racing events. Participation in the Quantum Distance Race Series Championship is free for all racers participating in the qualifying events; however, participants are responsible for registering for each individual regatta and the associated fees. Click here to view the NOR. The winner of the Quantum Distance Race Series Championship will win a day on-the-water with Quantum's Terry Hutchinson, Quantum Racing Tactician and two-time Rolex Yachtsman of the year winner, and a Quantum gear package to kick off your 2018 season. The day on-the-water will be scheduled with the winner and the pro at the beginning of the 2018 season. Join Quantum for an end-of-season debrief and to celebrate another fantastic season of Lake Michigan sailing. We’ll also be honoring the series winner. For questions or support, please contact Quantum Sails Chicago’s Andy Camarda at acamarda@quanutmsails.com, at the loft 312-225-0801 or on his mobile 847-507-1179. To help you dominate your distance racing this summer, Quantum's Dave Gerber takes you through helpful onboard optimizations and give you a step-by-step look at important maneuvers. Part one is available now! To learn more about the Chicago Area Sail Racing Association (CASRA), their mission, and upcoming events, visit www.chicagosailracing.org.